I’m a lover of sour-tasting things. When I was a kid, I secretly took sips from the vinegar bottle in my grandmother’s pantry. Gross? No, I say delicious. In the food chain of sour things, vinegar is the antelope and lemon the lion. 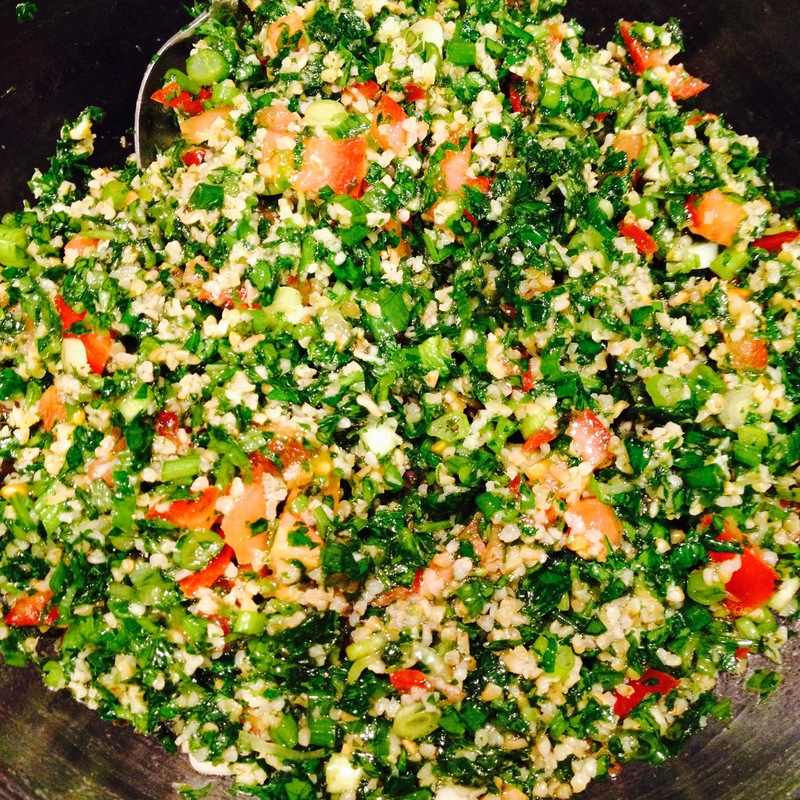 That’s part of why I love tabbouleh. In a bowl mix the bulgur (dry, unwashed), cubed tomatoes, juice of two lemons (about ½ cup), and salt. Set aside for one hour. Taste to make sure the bulgur is soft. If not, let it rest a little longer. Add the chopped parsley, scallions, mint, and olive oil. Mix well. Taste salt level and adjust as needed.